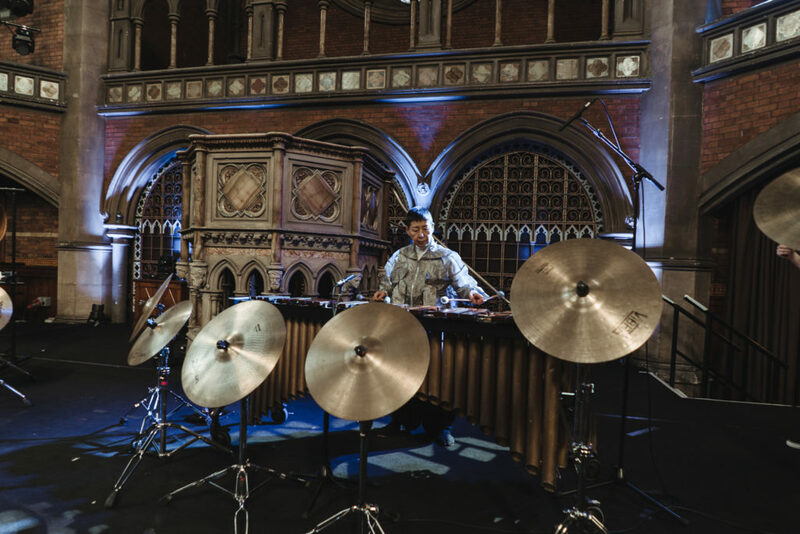 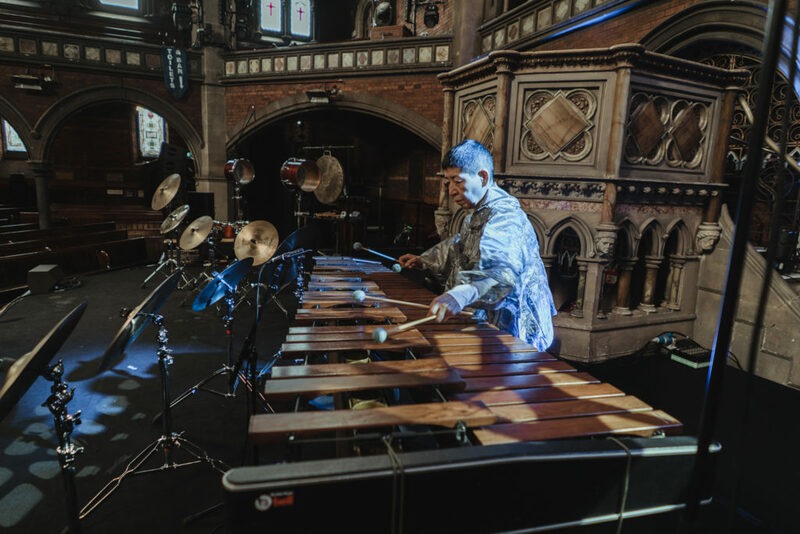 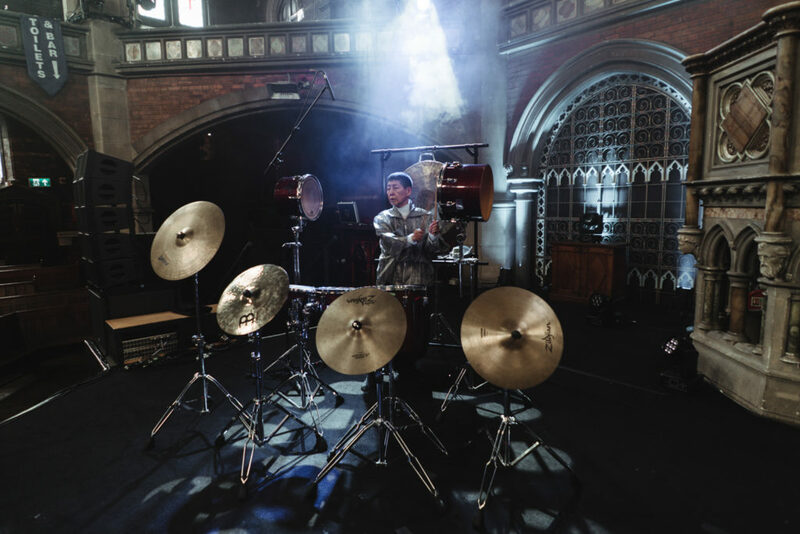 The Japanese percussionist and composer on stage in London. 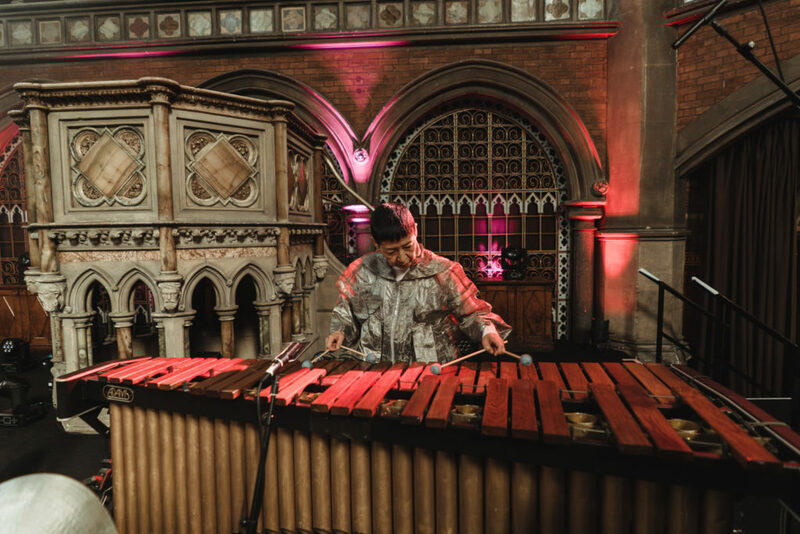 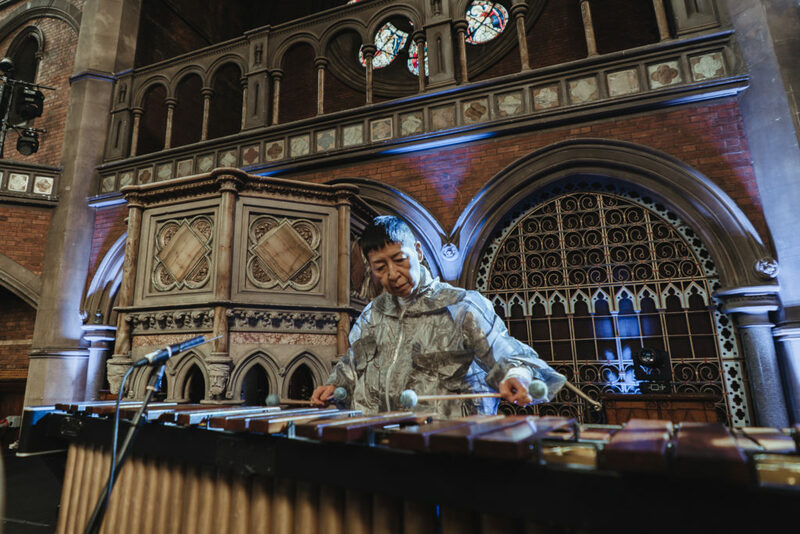 During the making of our new short film Midori Takada: In Motion, we spent the afternoon with the ambient maestro as she prepared for her sold out show at London’s Union Chapel in April 2018. 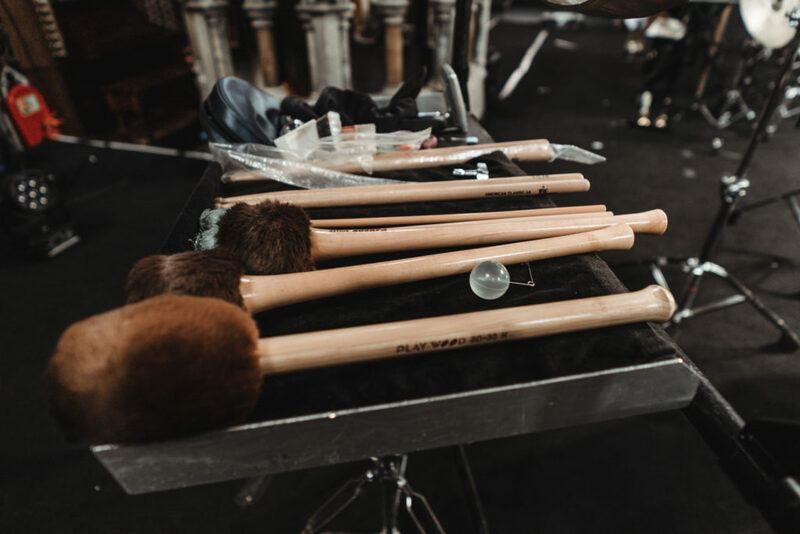 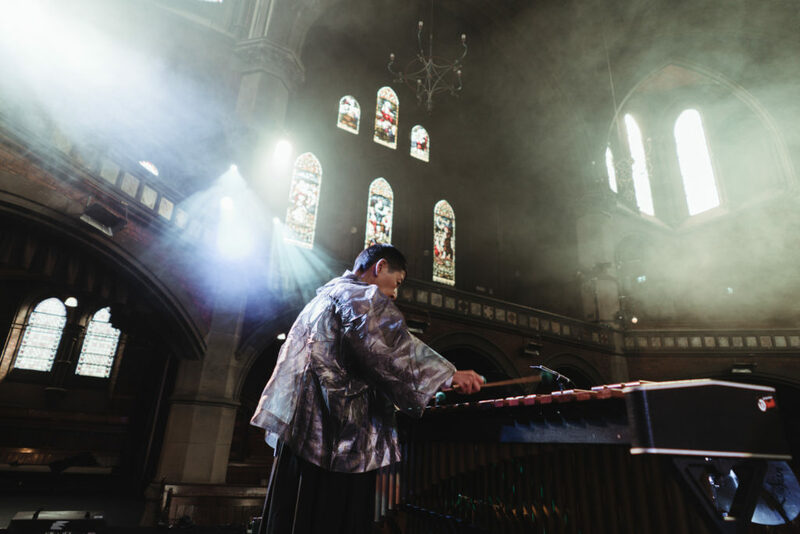 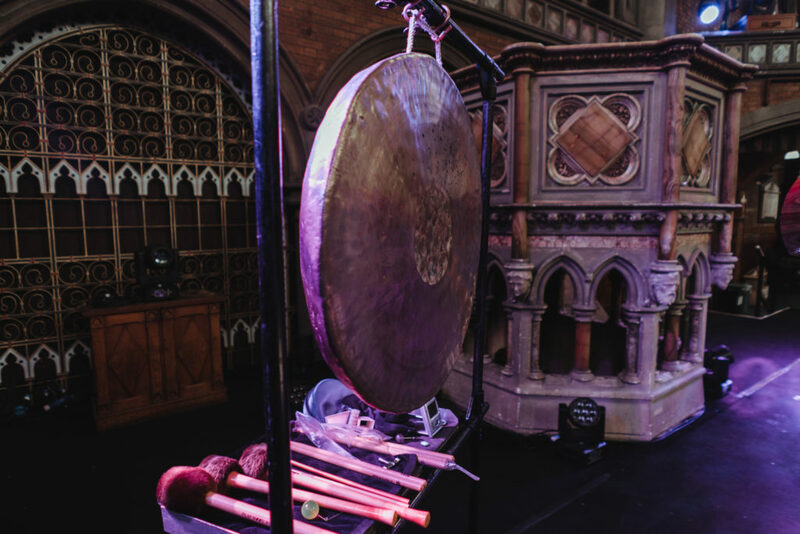 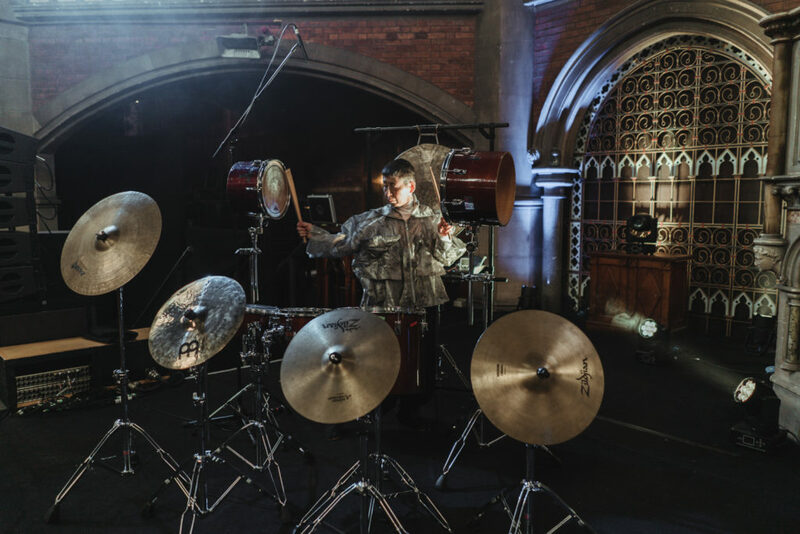 An artist for whom the theatricality of sound and vision are crucial, Takada’s performance was shrouded in mist, as she played bells, gongs, toms, marimba, and her now iconic arrangement of standing cymbals to an enraptured audience. 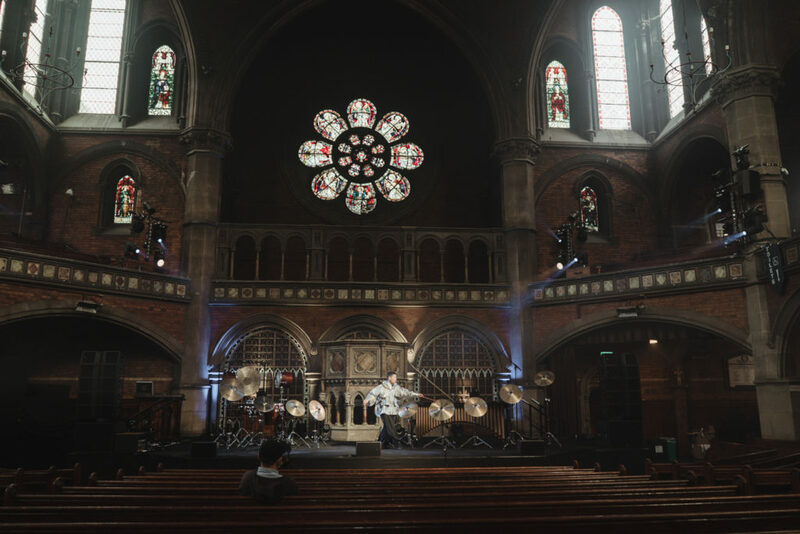 With light streaming in through the chapel’s stain-glass windows, we captured Takada in full flow during the soundcheck, images from which you can see below. 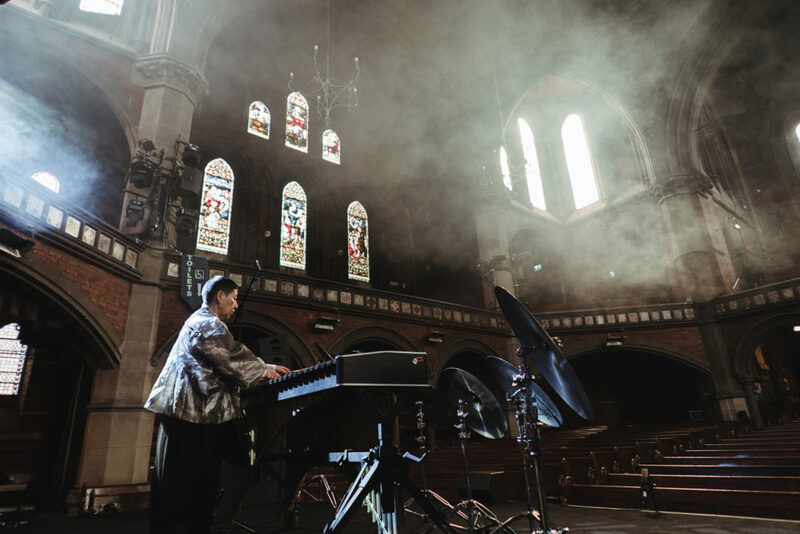 A unique visionary, whose work is finally getting the recognition it so long deserved, we’re celebrating her music in its many forms. 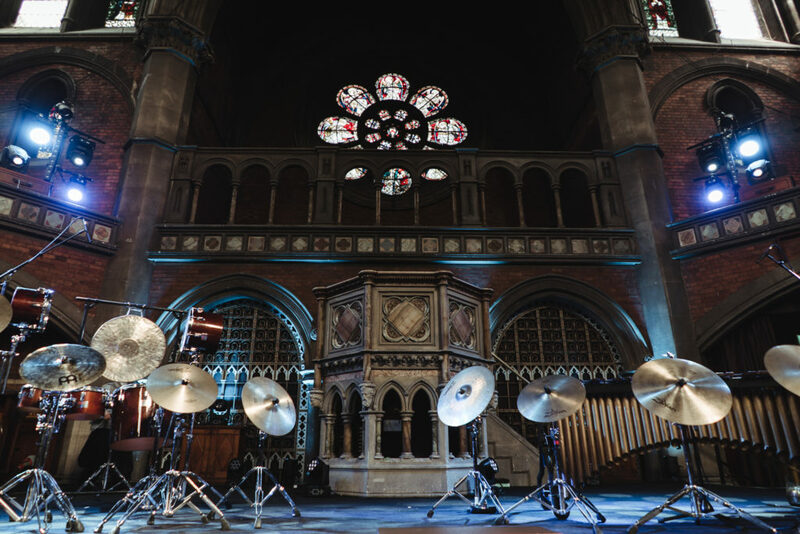 Head here for more.